The Morph Solo is a single durometer wheel with all the high quality features of a Morph Classic. The Morph Solo has the same great link core, same great formula, same speed and grip, in one pour at an affordable price. The Solo has solid edges for consistent roll without the grippy ‘tracking’. Without the softer edge you will get more of a controlled slide or ‘break’. 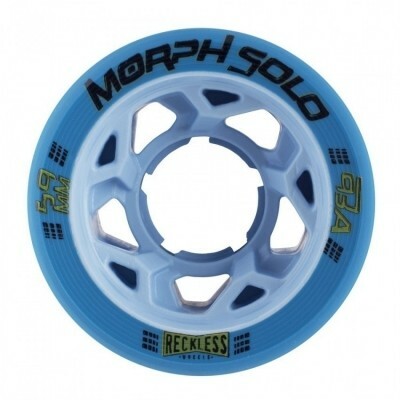 Get the new Morph Solo, cutting edge derby performance at a cost-effective price.